Risks to freshwater supplies due to shortages, poor quality, floods, and climate change are growing. These forces will hinder the ability of key countries to produce food and generate energy, potentially undermining global food markets and hobbling economic growth. 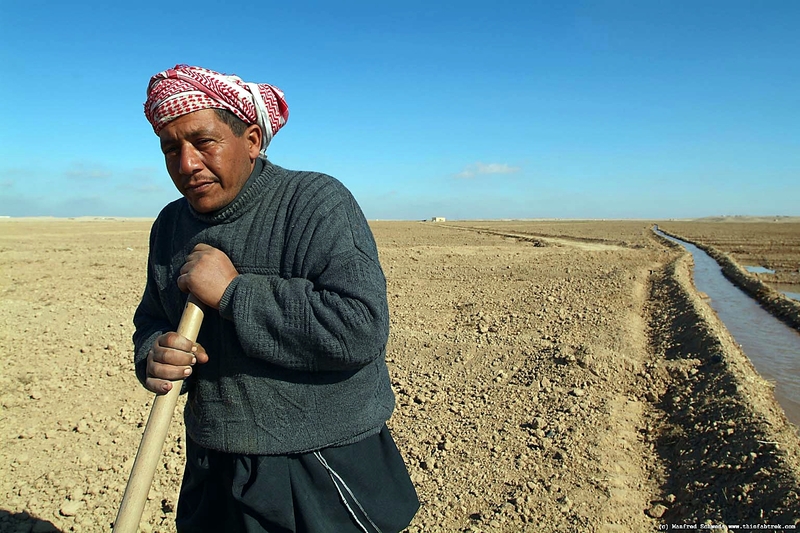 As a result of demographic and economic development pressures, North Africa, the Middle East, and South Asia particularly will particularly face difficulty coping with water problems. Lack of adequate water is a destabilizing factor in developing count ries that do not have the management mechanisms, financial resources, or technical ability to solve their internal water problems. Empirical evidence alone without reference to climate models suggests that a general warming trend is probably affecting weather and ecosystems, exacerbating the impact on humans. This warmer atmosphere, wetter in some areas, drier in others, is consistent with increasing atmospheric concentrations o f greenhouse gases. In recent years, local food, water, energy, health, and economic security have been episodically degraded worldwide by severe weather conditions. These include more frequent or intense floods, droughts, wildfires, tornadoes, cyclones, coastal high water, and heat waves. Rising temperatures, although greater in the Arctic, are not solely a high latitude phenomenon. Scientific work in the past few years has shown that temperature anomalies during growing seasons and persistent droughts have hampered agricultural productivity and extended wildfire seasons. In addition, intense storms including typhoons, hurricanes, tornadoes, cyclones, and derechos when exposed to growing human infrastructure, contribute to greater damage and threaten ever-increasing urban populations and economic development. This trend will likely continue to place stress on first responders, nongovernment organizations, and militaries that are often called to provide humanitarian assistance. Harsh weather and relatively low economic stakes have enabled the countries bordering the Arctic to cooperate in pursuit of their interests in the region. However, as polar ice recedes, economic and security concerns will increase competition over access to sea routes and natural resources. Some states see the Arctic as a strategic security issue that has the potential to give other countries an advantage in positioning in their military forces. While concerns over the “threat multiplier” effect of climate change could certainly be more comprehensively integrated throughout the assessment (including in the “Regional Threats” section), the fact that the Director of National Intelligence is taking the climate threat seriously is significant, and should be applauded. Indeed, the National Intelligence Council has been a leader in assessing climate-related threats, going all the way back to 2008. Such assessments from the generally apolitical intelligence community should be more than enough to convince policy-makers that the security threat of climate change is real, and that strong steps should be taken to mitigate those threats. There should be no advocacy needed. Day in and day out, the security and intelligence communities are highlighting the threats, and urging us to do something about it. This might be a good year to start listening. By Caitlin Werrell and Francesco Femia in climate and security on January 30, 2014 .